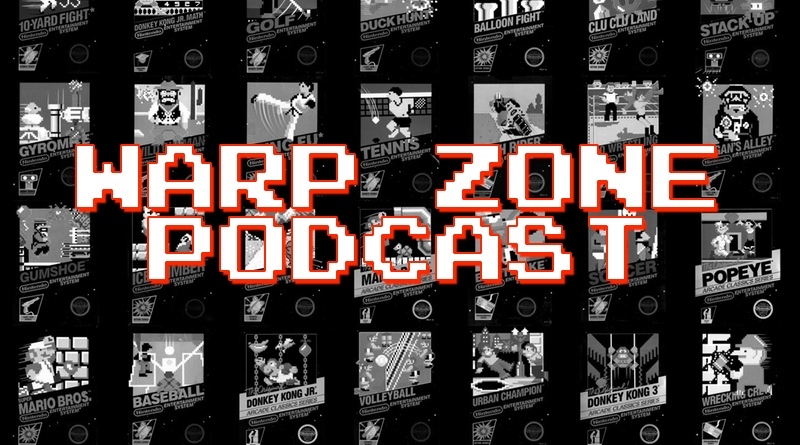 A special welcome to our premiere episode of Warp Zone, our new monthly podcast devoted to the world of Nintendo 30 years ago! Every month we’ll dive into the games that were released for the NES as well as the latest news and information gleaned from press releases, ads, magazines, and more. Since this is our first episode, we play catch up from the NES’s launch in October of 1985 all the way up to May 1987. We spend a good 20 minutes or so discussing how the NES came to be and then we move over to the POW Block, where we deep dive into the various games we played from that time period. And boy do we talk about a lot of games here! While our group didn’t pay every single NES game released from 1985 through May 1987, we did have a lot to say about many of them. Our Playing With Power section will cover the world of gaming newsletters, press releases, newspaper articles, and magazine each and every month. 1987 was a world without gaming magazines or the Internet, so we rely on a few resources to take a look at what was going on in the world of Nintendo for May 1987, including an in-depth look at the first ever Nintendo Fun Club News newsletter and the May issue of Computer Entertainer. We hope you enjoy this trip down memory lane! We are publishing Warp Zone in our normal Nintendo Times Radio RSS feed, which means if you already subscribe to one, you’ll receive both from now on! If you haven’t done so already, be sure to do so via your favorite podcast app (search for nintendotimes.com and we should pop up). Don’t forget to send us your questions and suggestions to be featured on a future show via an e-mail (please put Warp Zone in the subject line) or by getting in touch with us via Twitter. As always, please rate us in iTunes, and subscribe to our YouTube Channel. Plus, you can listen to us on Google Play Music! 20:32 – Water World by Koji Kondo – Super Mario Bros.
55:58 – Super Mario Bros.
1:21:02 – Donkey Kong Jr.
2:30:49 – Thanks for listening!